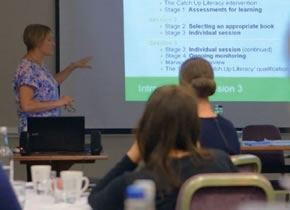 On our blog you can read latest news about Catch Up®, training and events, as well as useful articles about helping struggling learners with literacy and numeracy. 7th March 2019 - Book your training for next term now! 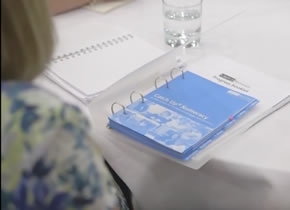 If you need additional teachers or teaching assistants trained to deliver our interventions, now is a great time to book Catch Up® training for next term! Catch Up® offers you a number of ways to access our training, including attending a course at one of our Regional Training Centres, or arranging your own school-based course. We are always happy to discuss your requirements, so please get in touch with us, either by phone or email, and we will help you to find the best training option for your staff. Remember that we offer both Literacy and Numeracy interventions, so if you are only using one in your school, next term might be a great time to introduce the other! The Catch Up® Literacy intervention has been designed for schools to use alongside their existing resources. Schools may already have reading schemes in place and access to the school library to source material which would be appropriate for Catch Up® sessions. All trainees are given their own user account on the Catch Up® website; once logged in, they can access a wide range of supporting resources. For example, Literacy trainees are able to access the Catch Up® online booklist, which currently lists nearly 10,000 books – including over 1,000 in Welsh – that have been graded to Catch Up® Literacy levels. 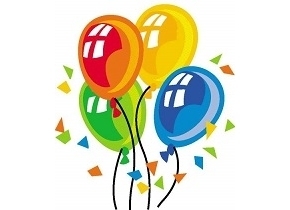 8th February 2019 - Lynne’s logic – looking at 2019! Welcome back to a further instalment of Lynne’s logic. As I write this, we are into 2019 - an interesting number! 2019 is a multiple of 3; you will know this, because if you add the digits 2, 0, 1 and 9 it totals 12. Add these digits, 1 and 2, and the result is 3.